Created by Crawley Borough Council. Powered by Spacehive. We are holding a free workshop on the 7th of May - see the Events tab above for more information! 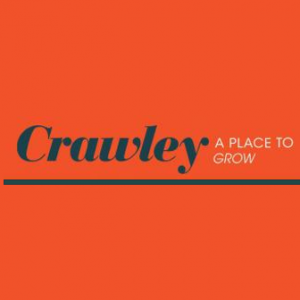 Crawley Borough Council uses Spacehive to help you create, fund and deliver your project idea. Community Art projects – Murals, Sculpture etc. Community Safety Projects – improvements to lighting, landscaping etc. Physical equipment in community spaces – play parks, outdoor gyms etc. Planting improvements - wildflowers and trees. Projects must benefit the people of Crawley. Helps meet the demands that development places on the need for community services and facilities within the town. Demonstrates added benefits for the town, e.g. using local businesses or skills of local people. If you’re thinking of running a crowdfunding campaign as part of the Crowdfund Crawley initiative, then take a look at the Step by Step guide for advice on creating your Project Page, Pitches and Verification before you get started. If you have an idea for a project but don't know where to start, you can fill out this Expression of Interest Form form and Spacehive will be in touch. An online payment system, Spacehive use either PayPal or GoCardless. If you don’t have one of these you’ll need to create at least one. Have a bank or building society account in the name of the group, with a minimum of two cheque signatures. Evidence of your organisation's legal status. Evidence of your financial records including annual turnover, where applicable. This is an all–or–nothing model, which means that if you don’t hit your target, you don’t receive any of the money raised. The benefits of this are that it helps you raise more money due to the sense of urgency it creates, it’s also less risk for everyone. Ready to get started? Create a project. It's not just us supporting projects. Esmée Fairbairn Foundation, GLL are active too, with £265,000 of funding and in kind support on offer. Crawley is a thriving town at the heart of the Gatwick Diamond and the proud home to more than 110,000 people. 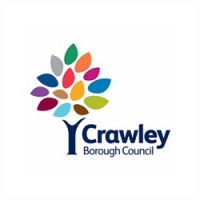 Crawley’s ambitious motto ‘I grow and I rejoice’ continues to be lived up to by local people, local business and the local authority.